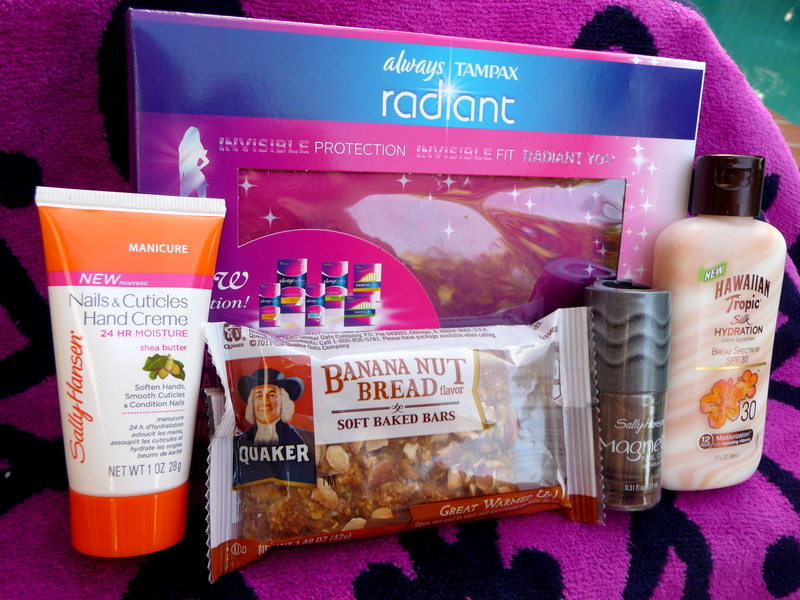 Here you can see all the products I received to review. Below is my evaluation of each one. This bar tasted pretty good, very sweet. 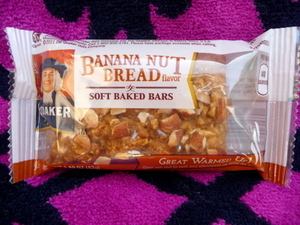 I don’t normally buy these types of bars, but I would eat one again. It is sort of like a cookie mixed with a granola bar. This sunscreen lotion smells delicious and feels silky once applied. It is SPF 30 and says it has 12 hour moisture. I really like it. I have actually been wanting to try this nail polish out, but never wanted to spend the money (since I have too many nail polishes already!). You paint one coat on all your nails and let dry. Then you paint a second coat real thick and hold the magnet (included on cap) over your nail for 10 seconds. It creates this cool ridgy pattern that almost looks 3D. Then continue to the next nail and so on until all are done. Of course you are supposed to use a base coat and top coat as well, but I didn’t and it looked fine. It dries fast and looks awesome. Here is a photo of it on my nails. I am not the best at painting nails and my nails are short, so just keep that in mind. It’s hard to capture the look in a picture, but it is really cool. 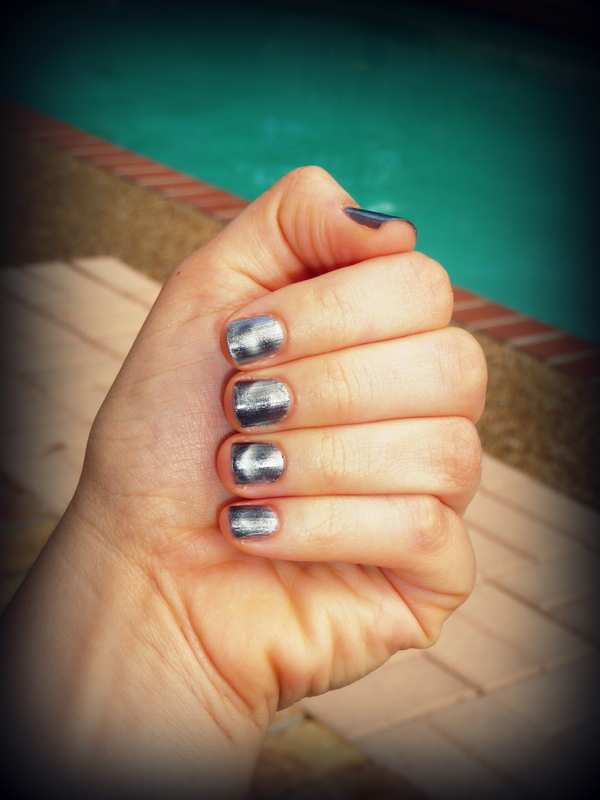 The color of this polish is 903 Silver Elements. I don’t usually use cuticle hand creme, but this one made my hands soft. It had a nice smell at first (sort of like oranges), but it bothered me a bit after awhile. I haven’t tried this lotion long-term, but it seems pretty good. 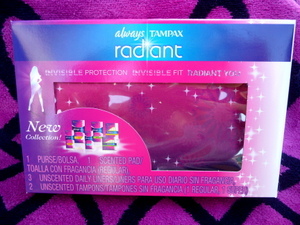 This box contained a little pouch (similar to a make-up case) with 2 tampons, 1 pad, 3 liners and a couple coupons inside. I haven’t been able to use them yet, but the pouch is cute! Tampax is a good brand, so I am sure they will work just fine. If you want to see a picture of what’s inside visit my Facebook Page. I am so excited I was able to try this. If you want to know more about VoxBoxes and Influenster you can visit their website here. Please visit and like my Facebook Page to stay updated and see more pictures and information that doesn’t get posted on my blog. If you want more information on the products shown here, you can read more about them here. 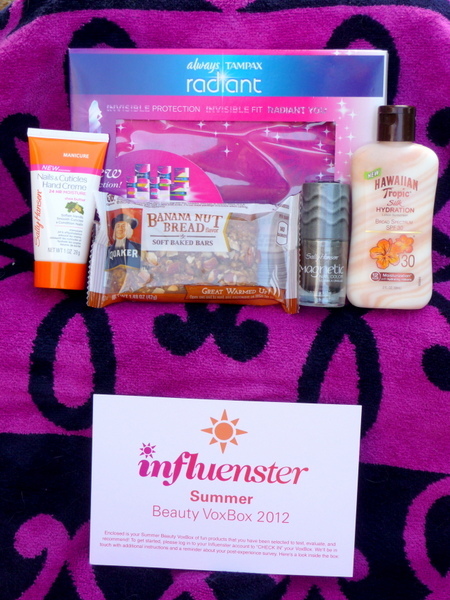 Posted on July 20, 2012, in Random Thoughts and tagged beauty, Influenster, nail polish, nails, review, summer, thoughts, VoxBox. Bookmark the permalink. 4 Comments. Looks like a great box. 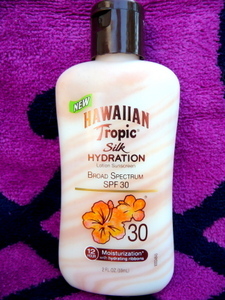 I have some of that Hawaiian Tropic lotion and I agree, it smells divine. Yes, and the swirls look pretty too. I think I like the nail polish the best lol.